A plan to let MPs vote on introducing plain packaging for cigarettes has been welcomed by the Welsh government. The UK government said it would offer MPs a free vote before May’s general election on the measure, which doctors said could save thousands of lives. Assembly members voted in January 2014 to accept any UK law on the issue. “Such a move could play an important part in our efforts to tackle the harm associated with tobacco use,” he added. 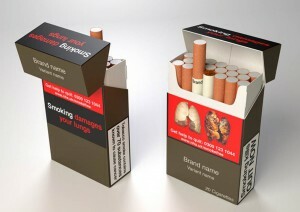 Posted in: Plain Packaging, UK, Wales.